This blog is dedicated to the girl in front of me at Stop & Shop that bought a shampoo for $1.05. I’m not going to lie, it took alot for me to not intervene and stop her. I wanted to give her a consultation right in line! Maybe it’s the Stylist in me but, what I do is my life and goes with me everywhere! It’s like when you know your in a room with a hairdresser and you say, “OMG, your probably looking at my hair. I didn’t do it today.” Yes, we noticed you haven’t done your roots either. lol It’s just natural for us! As for shampoos and conditioners I find most people have complaints about their hair that most often could be solved by what they are putting on it or in it I should say. If you color your hair you have to understand that colored hair needs to be not just maintained but, nourished. If you spend $150 on your hair but skip the $25-$30 on shampoo and conditioner that is going to protect your investment then the least of your worries is saving a buck on what you buy to wash your hair. Your expensive color service is slowly getting washed down the drain with the harsher products you are using. Most professional products these days won’t cause direct damage to your hair but there are definitely ones that are better than others. 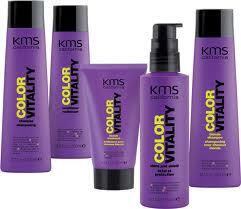 One of my favorites for color treated is KMS California’s Color Vitality. (retail shampoo $15.78, conditioner $16.78) If you have blonde hair they have Blonde shampoo as well thats is apart of the color vitality line (retail $15.78) . I highly recommend especially in the summer. It keeps your blonde shiny and bright. The purple hue helps kick out any brass or keep it out. Do you have well water? I feel for you ladies! Your hair is going to battle with what’s in the water every time and most often than any it is losing. Well water can dry out the hair and severely alter a color. Especially blondes. I would recommend a clarifying shampoo to just use once a week. 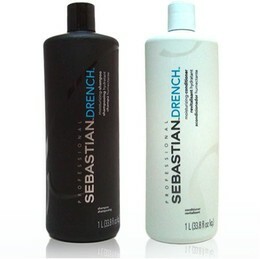 A clarifying shampoo is going to help get the minerals out and clean the hair really well to prevent build up. Don’t use more than that because it will dry out your hair. We carry Hair Stay Clarifying by KMS (retail $15.78) Honestly, any clarifying will do, they are just not always easily found just anywhere. I also recommend this if your hair has excessive oil. It will help prevent oil buildup as well…. Sometimes I come across ladies that have a bad habit of tying their hair up while it is still wet and leaving it like that for hours. I DO NOT RECOMMEND. Not only does this cause breakage but believe it or not you can get mildew in your hair.. It has a particular smell. I don’t know how to explain it but, I can definitely know immedietly if a client is a culprit for doing this. Another great option is using Malibu for well water. They have a shampoo or they have packets with powder in them. The powder you use once a week and is left on for a minimum of 10 min. This helps pull the minerals and metals out specifically. We carry the shampoo (retail $13.00) or the packets ($3.00 each) The shampoo I would say is ok for my blonde clients but if you have other colors in your hair or darker color I would use the packets. Hopefully, these tips helped give you some insight or make you think more about what you use the next time you step in the shower. 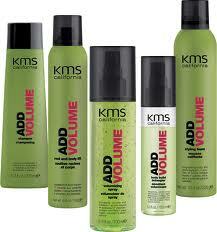 Shampoos and conditioners are the foundation to your style and to the health of your hair. I have seen first hand the damage or the repair the right one can do and I am a BIG believer in making the right investment for your hair when it comes to choosing your shampoo and conditioner. These aren’t the only products you can use these are just a few recommendations. Our salon offers a few ways you can save. We offer monthly specials that usually reflect in some of the lines we carry, we have a loyalty program that you can save on your service and maybe splurge on some products, or buy liters! If there’s something you don’t see in stock we special order any of our products in bigger sizes if needed. Just let us know before you come for your appt. If you have to, skip the styling product but never skip the right shampoo and conditioner. Join our mailing list to receive our emails of specials, classes and events: Notify me! Stay Tuned for even more we have added for our clients. We are excited to bring in a new line BLOW Pro. We will be announcing Blow out events coming soon!! Also, Add us on Facebook. The next event is for Curly Girls!! 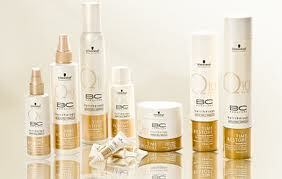 Free demos of the Deva line and how to style your curls and kick the frizz… Date announced on Facebook soon! great post! I always put my hair hair up when wet 😦 I didn’t even realize how bad it is for my hair!! !